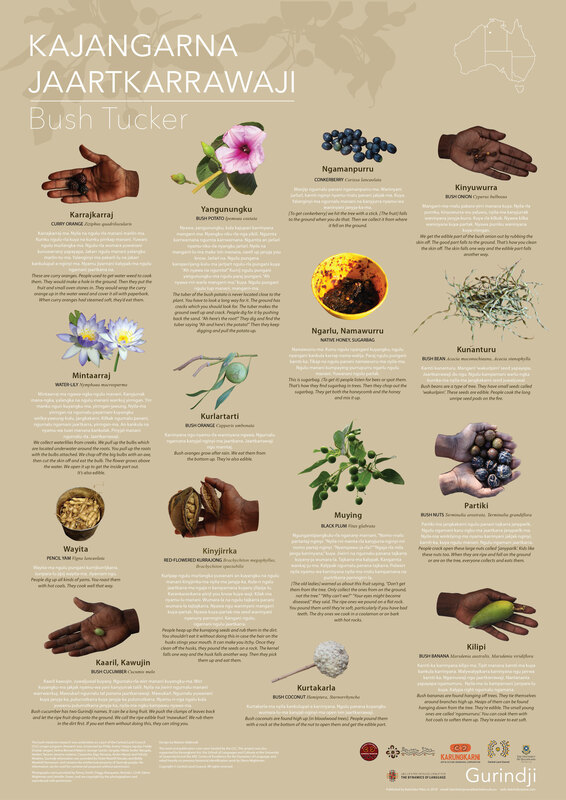 The Gurindji bush medicine poster provides cultural information in Gurindji and English about local plants used for treating different illnesses. 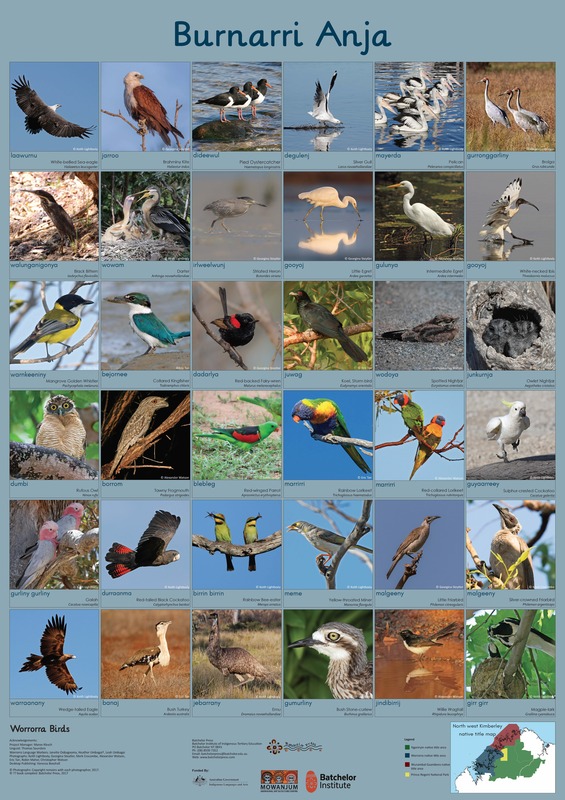 It was produced at Kalkaringi by the Murnkurrumurnkurru Ranger group with Felicity Meakins and Karungkarni Arts as a part of the Central Land Council (CLC) ranger program. 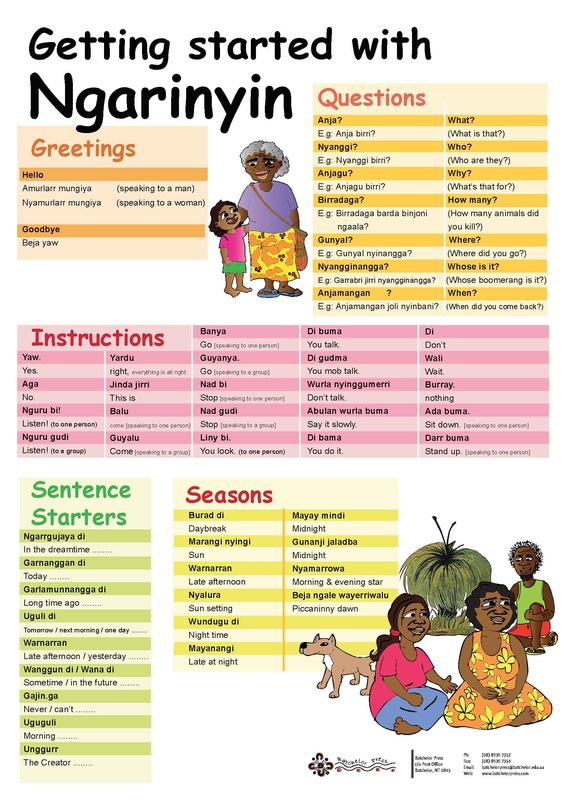 A great poster to help you start talking Ngarinyin. 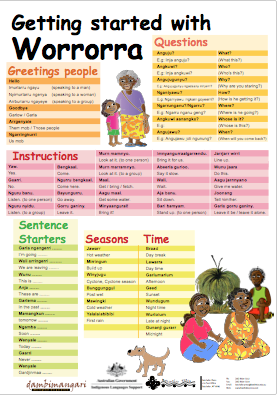 You can practice saying hello and goodbye, ask questions, give instructions such as 'Come here' or 'Go away' and there are some sentence starters to help you with Ngarinyin conversations. 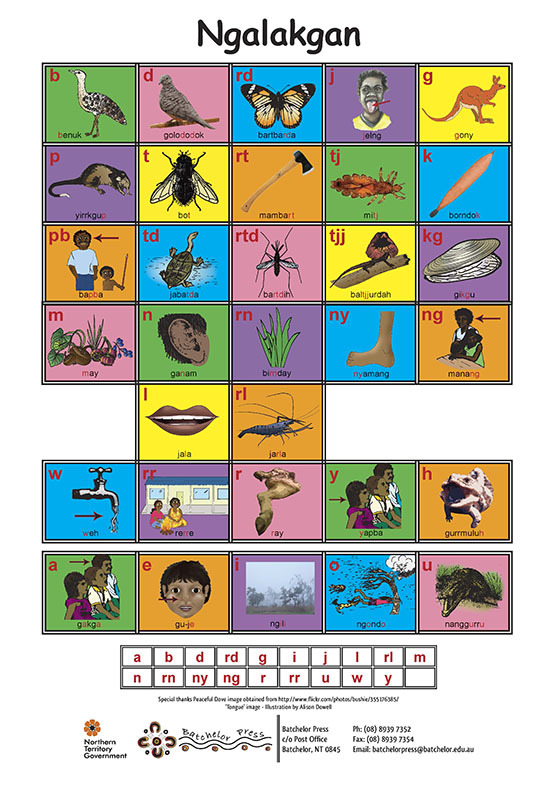 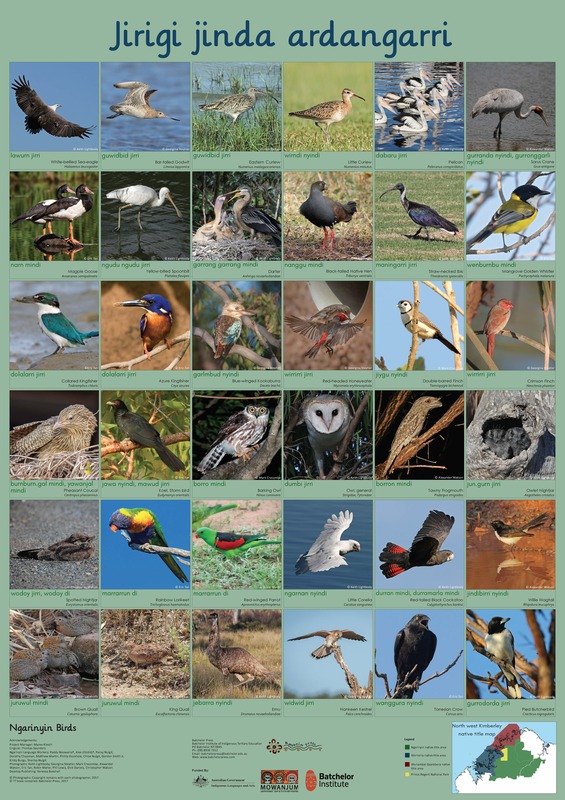 The poster is available in a range of sizes, why not get one for every room in your house, school or community centre and start speaking Ngarinyin today. 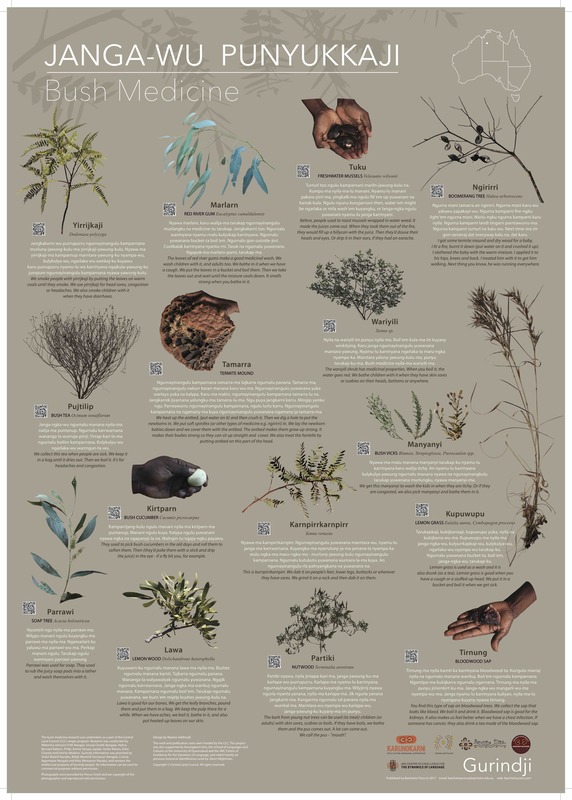 A great poster to help you start talking Worrorra. 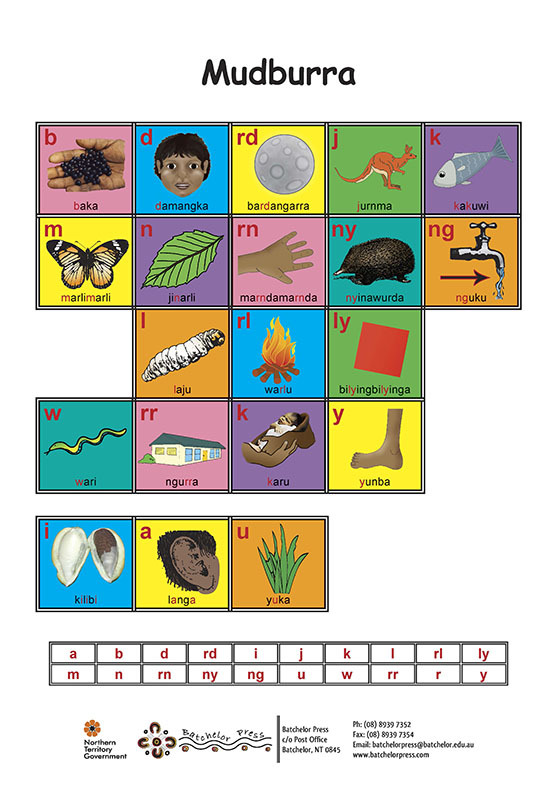 You can practice saying hello and goodbye, ask questions, give instructions such as 'Come here' or 'Go away' and there are some sentence starters to help you with Worrorra conversations. 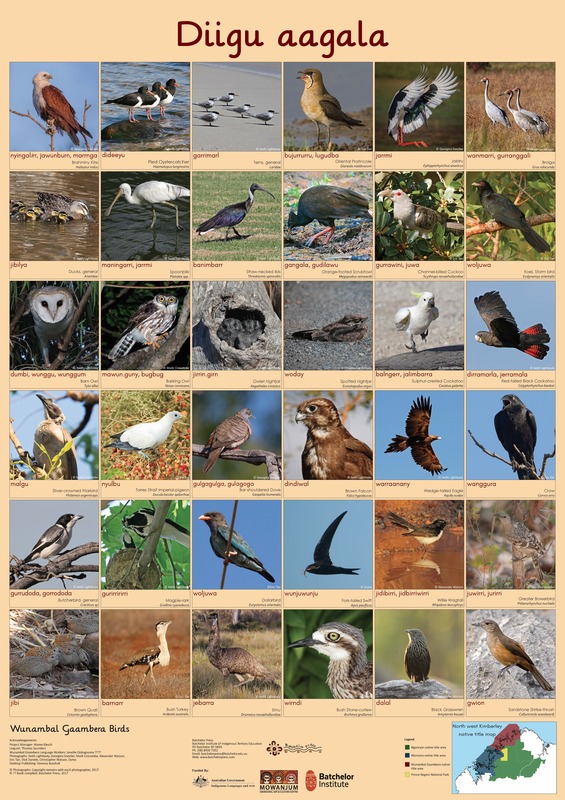 The poster is available in a range of sizes, why not get one for every room in your house, school or community centre and start speaking Worrorra today.